Mental and physical health problems can jeopardise or cause long term unemployment. 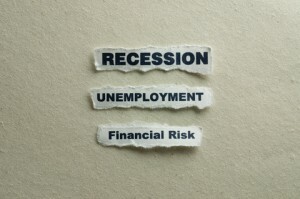 Long term unemployment is defined as 27 weeks or longer, and can cause severe social exclusion as a result. In some cases being forced out of the work due to external factors beyond one’s control – involuntary unemployment – may not have been a result of mental health, but the experience and trauma of being out of work as causes mental health conditions to surface and increases susceptibility to chronic illness. Over 200 million people worldwide are unemployed. The prevalence of depression and chronic pain in this population is staggering, especially when focussing on the long term unemployed. Overly-conscientious people, a personality type lending itself to depression, are likely to experience greater suffering at the prospect of being unemployed and consequently experience a harsher depression. The experience of underachieving and being out of the workforce due to mental health, especially when unemployment is protracted, is absolutely crushing for the self-esteem and soul. It increases feelings of shame and defeat and compounds all negative health conditions. Unemployment also increases the frequency and potency of isolation, and may lead someone into drug and alcohol use to cope with the pain and loneliness. For some it may lead to suicidal ideation and tragically suicide, particularly when a successful career is abruptly halted by mental health conditions. The good news is that people can beat this condition by getting back into work of some variety. It doesn’t necessarily mean back into the workforce. There are numerous ways of beating unemployment that often need to be pursued in recovery. People who have conditions in the workplace without acknowledging or addressing them are likely to suffer performance wise. Often they will be thinking more about preserving the job rather than being free to perform to best of their ability. Mental and physical health conditions cause a lot of self-consciousness; when people are sick their ego turns inwards and rumination begins to take them away from present experiences and the present moment. The repercussion in the workforce is that more concentration is needed to just do basic things and get the job done. Often thoughtlessness and clumsy errors will creep into the work and compound one’s anxiety about being able to manage a position and one’s own competency. Not only can that produce underachievement and incompetence in one’s own duties, it can result in promotions being missed and a general feeling of being left behind and trampled over, neglected and forgotten, which further depresses the mood and causes anger and disillusionment. Unless conditions are successfully treated, this will result in either a reduction of hours, change of position, termination of employment or voluntary resignation. I was out of the workforce for nearly two years when I was depressed. I tried to slog through full time work, but my ability was mediocre and substandard for many years, especially when not addressing my depression and anxiety. I systematically hid the unhealthy nature of my behaviour and inner life to myself, workmates, family and friends. Being out of work for so long was very hard. I felt like a loser, a no one, embarrassed about my situation, especially in a society and culture that puts such high premiums on social status and employment position. The all-too-familiar perfunctory social interactions which ask one’s employment position as a way to establish a greeting is painful for the unemployed. This only makes the unemployed more inclined to avoid social situations. It drove me to isolate more and avoid situations where any form of social scrutiny is present. So don’t feel alone if you are unemployed, I along with many others know how hard it is, but we also know that if the right actions and decisions are made the isolation and pain does not need to last forever. Work is paramount for instilling a sense of worth, self-esteem, and the ability to feel that you input has value. Sometimes these truths ring most loudly when you are out of work! You can take it for granted when employed, especially if you find a job mundane, repetitive or dull. Please realise that even if your job is too easy, mundane or dull it is likely performing a great benefit for your own health. There can be damaging work environments and places for people to be in which can negatively impact health. Sometimes people need to withdraw from very toxic and harmful situations and environments in order to improve their mental health. We are not looking at this aspect in this article but needed to acknowledge it. Human history is negative toward the unemployed. Please realise that being unemployed is not something people enjoy or revel in, even people with a tough exterior are often damaged and hurting inside. Be mindful in how you treat and perceive the unemployed, they are often not dole bludgers or lazy malingerers, and while a small minority of this population may fit into that category don’t let their conscious inaction skew perception for the many legitimately hard cases out there. Pace yourself, it takes time to recover! One of the key mistakes people make when they try and recover from conditions is that they put too much focus on themselves. This is understandable considering we live in a self-help, DIY, self-made generation that promotes tonnes of false, unrealistic and downright unethical personal recovery approaches. There is no easy way when you are trying to change deep-seated problems, no 5 step plans, ten hour working weeks, magic formula or bullets. The bottom line is that for most it takes a lot of hard work, discipline, patience and commitment to beat longstanding conditions and live a healthy and fulfilled life in spite of mental and physical conditions. At How I Beat we do not peddle false hope or promises, we do know what works because we document lots of success stories and in nearly every instance genuine recovery takes time – this is a reality that needs acceptance. You can accept it and cultivate patience through it or you can reject it and go through the endless cycles of self- help seminars, flash-in-the-pan improvement techniques promising instant breakthrough yet paying paltry and short-lived dividends. Real growth is often slow, sometimes painful, always rewarding. Recovery is about turning the tide, slowly and steadily. And part of that turning is doing work, maybe only a little at first. It might be simply just cleaning one’s room or getting one’s own affairs slightly more in order. What seems small is a huge and commendable start for many. It builds from there, until hard work is actually embraced and becomes enjoyable, instinctual and almost unconscious.